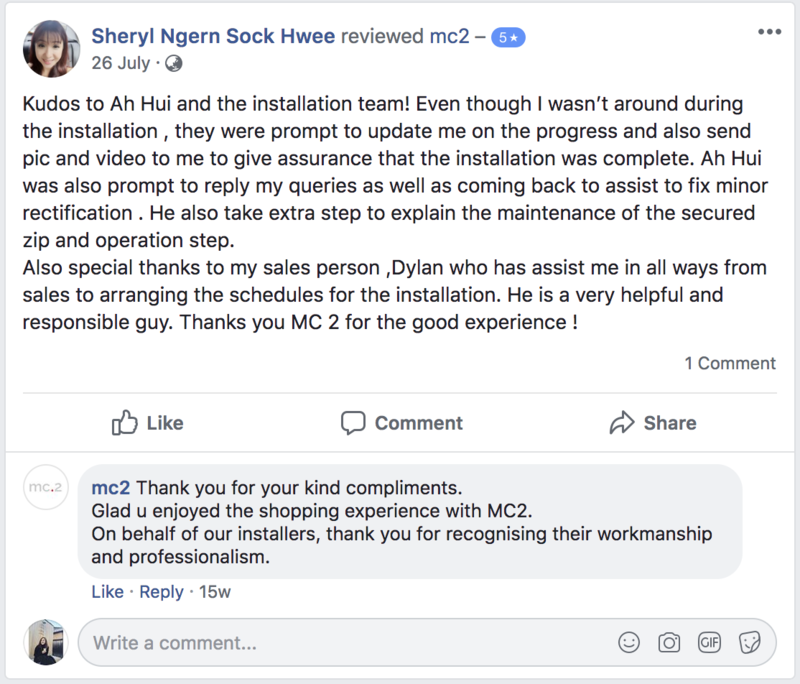 mc.2 Reviews and Testimonial | Our pride is our customer. 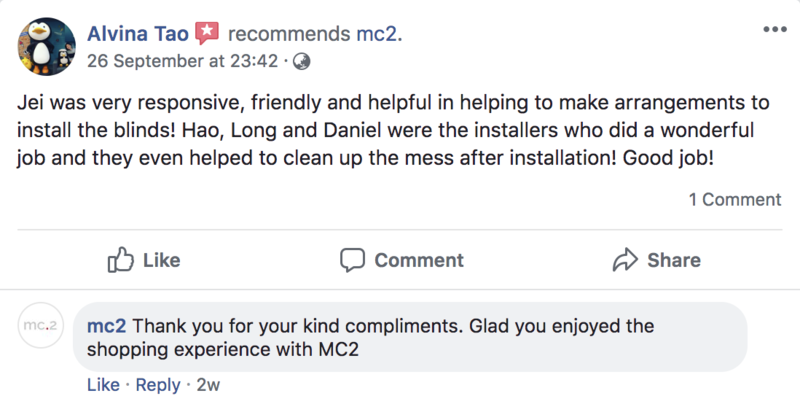 At mc2, nothing delights us more than our customer’s smile. 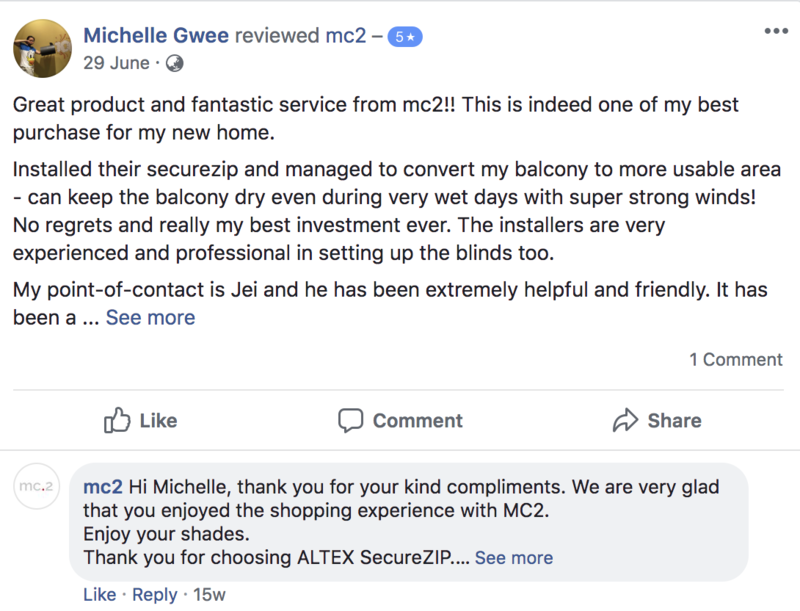 Being one of the most highly reviewed brands on Facebook, we set ourselves apart from the others through our high customer satisfaction policy. 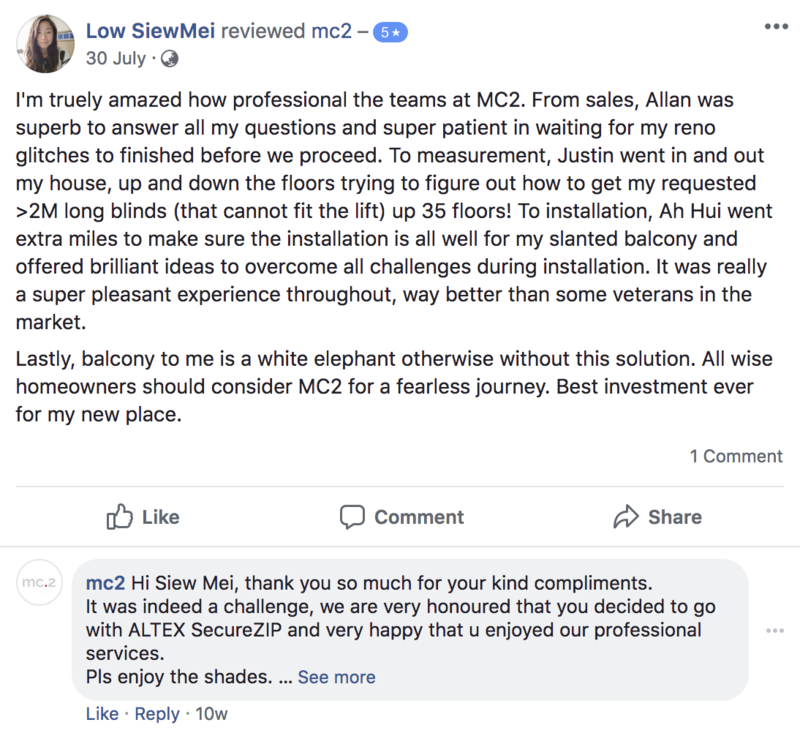 We will always strive to provide a higher level of services and support as well as the best cost effective yet practical solution that our clients will love. 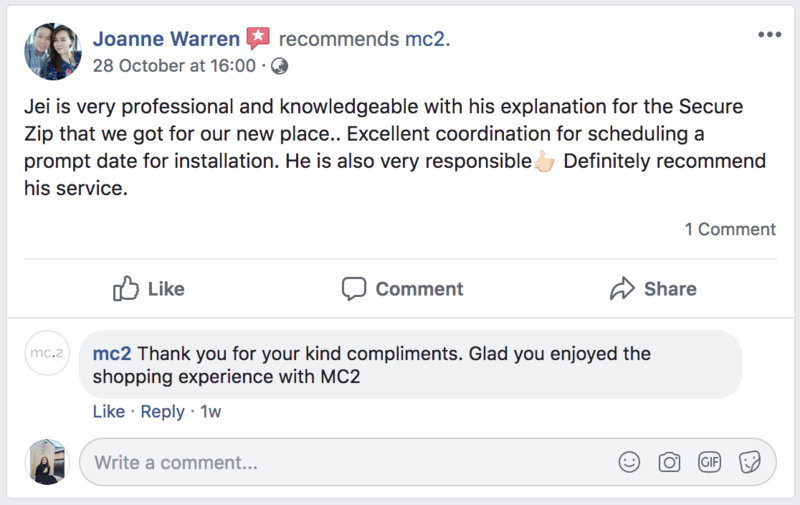 To learn more about mc.2 and what we can do for you, contact us at 6634 7333 and let one of our consultant assist you today. 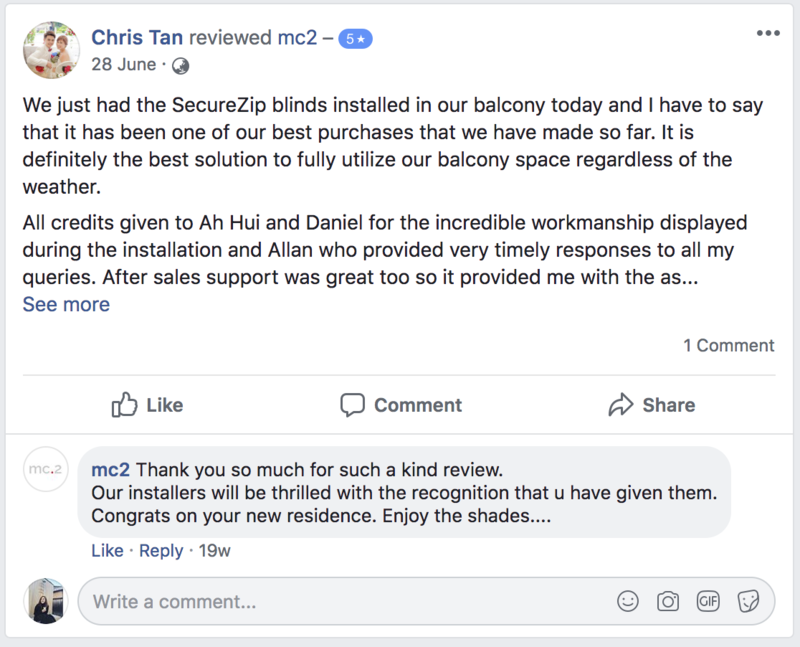 Experience the Smart Blinds Fashion showroom and have a free consultation now.